Compass will likely announce the acquisition of California-based Pacific Union National Realty on Thursday, Inman reported Tuesday (photo courtesy Pacific Union Facebook page). 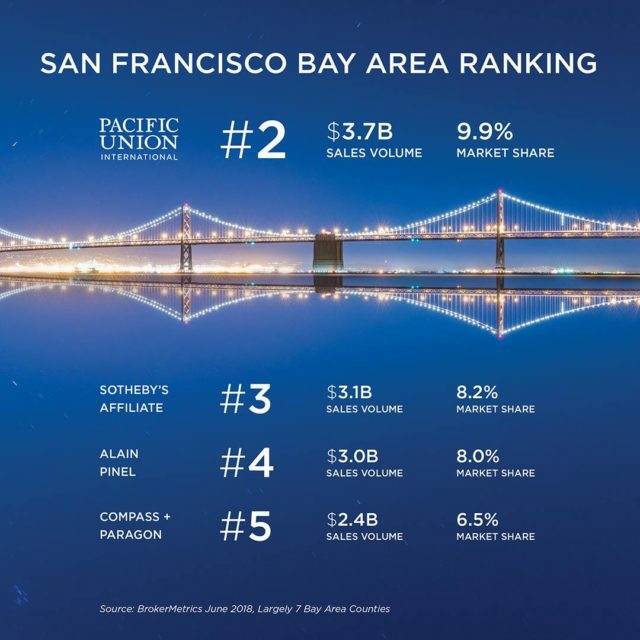 Compass continues to widen its swath of acquisitions as word came today that it is nearing a deal to snap up Pacific Union National Realty, an independent brokerage operating in California. News of the prospective acquisition by Compass came this afternoon on the real estate news site Inman. 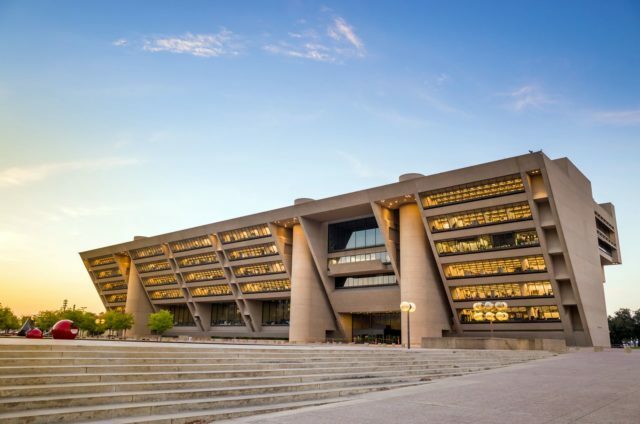 UPDATE: In a press conference held by the U.S. Attorney’s office, the IRS, and the FBI, it was revealed that Dallas Mayor Pro Tem Dwaine Caraway has pleaded guilty this morning to tax evasion and conspiracy to commit honest services/wire fraud. The councilman, who had been term limited out of office and then ran again against Carolyn King Arnold last year, also said in court this morning that he had resigned his seat, effective immediately. 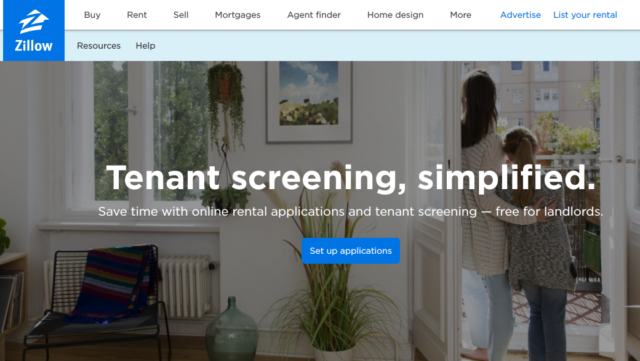 In a bid to be all the things, Zillow announced just minutes ago that it has launched new tools that will not only allow property owners and managers to collect rent and vet prospective tenants more easily, but will also provide renters with the ability to submit multiple applications for apartments at once and pay rent online. Sharmin Ashtaputre’s family has never really felt unsafe in their Oak Lawn Heights neighborhood in the four years they’ve lived there. But early Sunday morning, that sense of safety was shattered as bullets rained down in their daughter’s nursery. 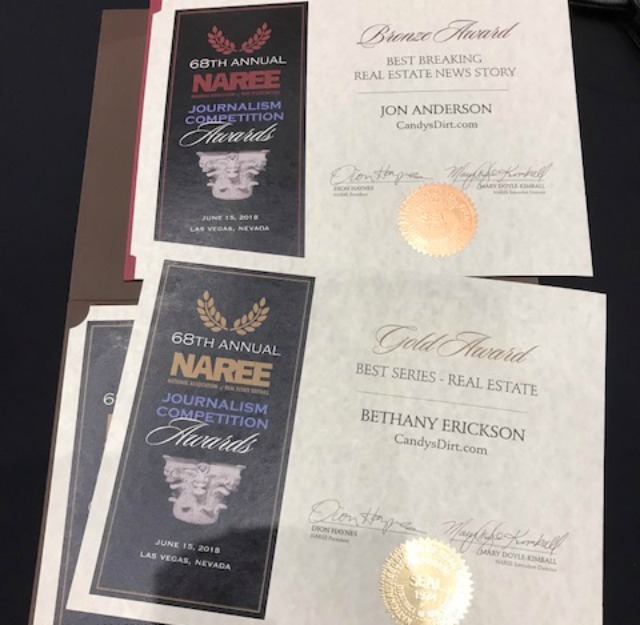 Ebby Halliday Realtors announced the news to a swarming audience of 1,700 agents today at 2 p.m. 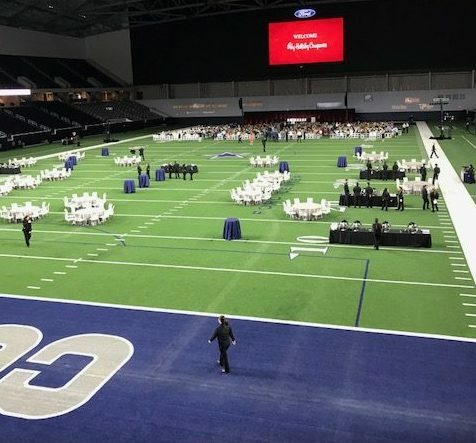 They chose the Star in Frisco — what other facility would hold so many? — to break the news that the company is being acquired by Berkshire Hathaway Home Services of America. CEO Ron Peltier was on hand to deliver the news and assure those in attendance that nothing would be changing, except that their parent now was a rich guy named Warren Buffett. Ebby Halliday Realtors is the 12th largest independent brokerage firm in the United States and the largest indie in North Texas with more than 1,700 active agents. The firm was founded by a beloved icon, Ebby Halliday Acres, who lived until the age of 104, working nearly every day. Her funeral at Park Cities Baptist Church in University Park in September 2015 was overflowing, and former First Lady Laura Bush eulogized her. Every Who’s Who in Dallas real estate attended, from Dave Perry-Miller (whose boutique luxury company Ebby acquired in 2007) to Robbie Briggs, Allie Beth and Pierce Allman. Allie Beth Allman & Associates even took out a full-page ad in the Dallas Morning News in Ebby’s honor. The Kansas native, who grew up selling Cloverine Salve, riding her pony in her rural farm community, migrated to Dallas and sold hats at a downtown department store in the 1940’s. One of her customers said something to the effect of, if she can sell my wife those dang hats, maybe she could help him sell some houses. And thus, in 1945, began one of the greatest real estate careers, and companies, in Texas history. Ebby Halliday built her brokerage from the ground up. She was quite simply the most beloved woman in Dallas. For years, the rumors had been flying that the huge brokerage was selling. Who would buy it? Warren Buffett, a local group consisting of the Perots and a couple others, or Weichert Real Estate , a New Jersey-based independent firm much like Ebby, but with only 1,000 agents. Buffett, Ebby’s friend, would often call her directly and try to talk her into selling. “I was in her office once, and she was talking to Warren, just as easily as anything,” says an agent who prefers to remain nameless. About that stock — Ebby is an employee-owned company, but it was issued to very few people: most of the heavy holders were the original founders of the company, Ebby Halliday, Mary Frances Burleson who was her first secretary, Ron Burgert, who was a son of Ebby’s accountant and used to play in the office as a child, Maurice Acers, and a handful of others including managers. Ebby Halliday Acers founded her eponymous brokerage in 1945. Rumors are swirling that the firm, one of the biggest brands in Texas real estate, is selling. 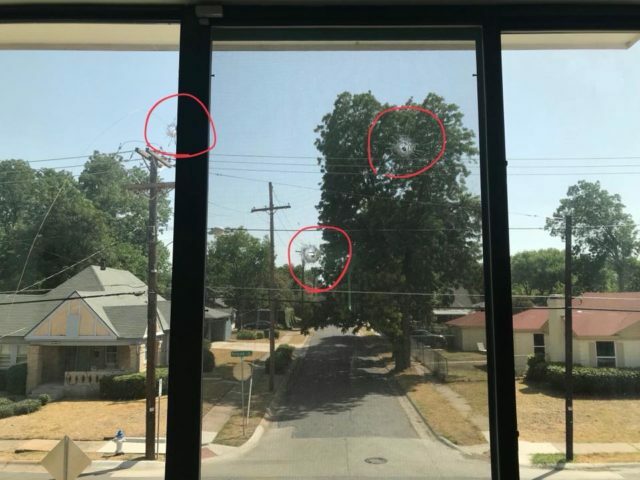 Rumors abound ahead of a big company-wide Ebby Halliday meeting in Frisco today — namely that one of the oldest and most prestigious shingles in regional real estate might be selling.